Wash and peel the beets. Cut each beet in half, and each half into four wedges. To prevent staining your counter top, place a dark colored towel or paper towels under your cutting board. 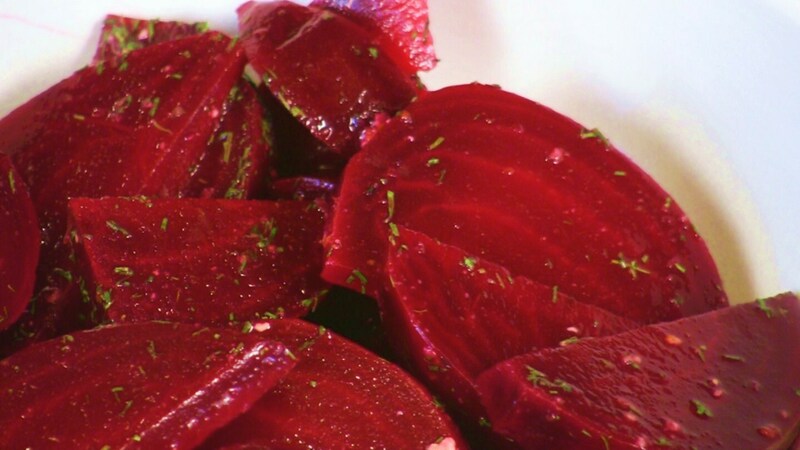 Steam the beets over boiling water until tender when pierced with a fork, 15 to 20 minutes. Combine the lemon juice, vinegar, apple juice concentrate, mustard, and dill weed in a serving bowl. Add beets and toss to mix. Serve hot or cold. Stored in a covered container in the refrigerator, leftover Hot or Cold Beet Salad will keep for up to 3 days.